Work on a 4.7km extension of the Edinburgh tram to Newhaven is set to begin after city councillors voted 36 to 26 in favour of the project. A line to Newhaven was part of the system’s original plans but it was cut short and a temporary terminus established at York Place after a budget overspend. An inquiry was established to look at why the original Edinburgh Trams project, which was launched in 2014, incurred delays, cost more than originally budgeted and, through reductions in scope, delivered significantly less than projected. Controversially, this inquiry has not yet reported back. Cllr Karen Doran, vice transport and environment convener, said the city “couldn’t simply have stood still” with the challenge of population growth combined with the need to improve air quality in the capital. Light rail campaigners TramForward agreed with the council’s decision not to wait. In a statement it said the inquiry’s “slow progress” would have “substantially delayed a transport scheme that will greatly benefit the northern part of the city”. The proposed route of the Newhaven extension. 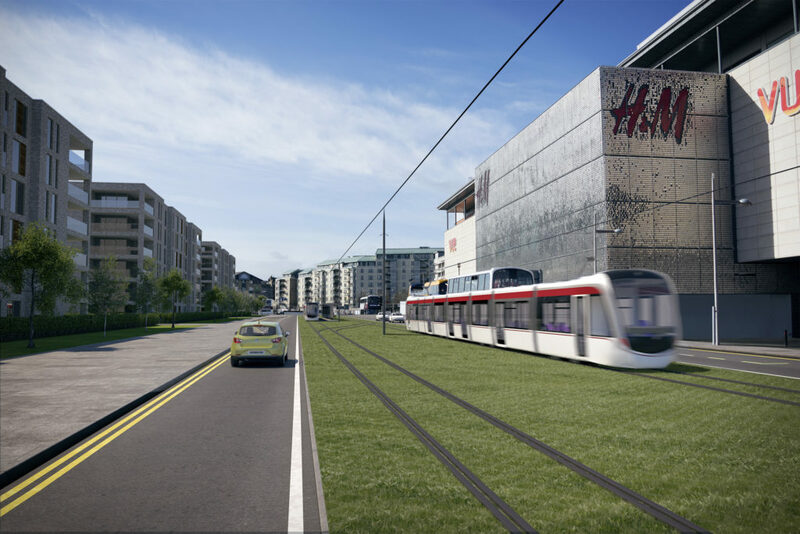 Cllr Lesley Macinnes, transport and environment convener, added: “Taking trams to Newhaven will allow brownfield development sites to be transformed, opening up the whole of north Edinburgh to a wealth of opportunities in terms of jobs, housing and local facilities. “Our city is growing faster than anywhere else in Scotland – a sign of our continued attractiveness as a place to work, live, visit and spend time – and boosting our public transport infrastructure in a sustainable way is fundamental to catering to our expanding population. A six-month early contractor involvement period will begin at the end of March with the infrastructure and systems contractor – a Sacyr, Farrans, Neopul joint venture – and swept path contractor – Morrison Utility Services – working closely with the council and other stakeholders to finalise plans. Physical works will begin once this stage has been completed. Reflecting lessons learned from the previous tram build, construction is planned to use a ‘one-dig’ approach, with each work site closing only once and then reopening only when all works are complete. A £207.3 million budget has been allocated for the extension, funded through future tram fare revenues and a special £20 million dividend from Lothian Buses. Passengers should be able to take the first tram to Newhaven in early 2023. Edinburgh Council estimates that nearly 16 million people will use the completed Edinburgh Airport to Newhaven line in its first year of operation – double the number predicted for the existing Airport-York Place route in the same period.